I have lived in Texas for 30 years and this is my VERY FIRST pair of cowgirl boots... EVER! 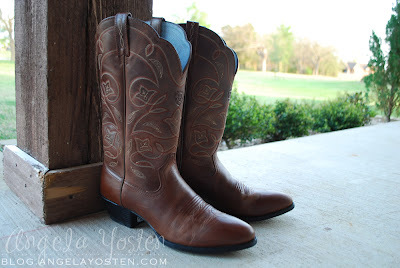 Who would have ever thought I would have ever bought a pair of cowgirl boots??? NOT ME! But I did! Can't believe you waited so long. I'm a SoCal native, but love my TX-style boot. My current pair look a lot like yours. That's a fine looking pair of boots. 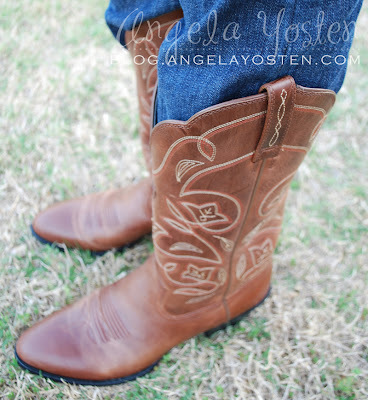 If I lived in TX I'd sure have a pair! No matter how many times I read it, it never gets old. You definitely hit the nail on the head on this one. This is something people need to know about. Your blog is really incredible and the design is really top notch. Really, youre blog is incredible. Keep going, man. Keep going!